Cash for Cars in Delaware - We Buy Cars Fast! Holiday hours are extending vehicle pick-up times. From the CarBrain team we hope you have a wonderful and Merry season. Hey Delaware! Is selling your car chewing up all your time? Are all the local buyers calling or texting your phone all day long, trying to haggle down your price to the last penny? If so, then it's best you start searching for a buyer that is prepared to make an online offer for your unwanted or less-than-perfect car in a timely manner. CarBrain has a sweet deal for you! We’re ready to help turn that car into fast and easy cash for your wallet! With our state-of-the-art CarBrain pricing engine we can make an offer on most makes and models sold in the US in just 90 seconds! If you like our offer, we’ll deliver the payment to you and tow the car for FREE in just 24 to 48 hours. Sell your car today! Click Here. CarBrain works with top-tier tow companies to ensure that we can pick up and tow your car from most areas of Delaware. We have service near Wilmington, Dover, Newark and many other cities! It doesn't matter if your car is used or wrecked from accident. We buy most types of cars and it only takes 90 seconds for most of them to get an offer! Get started to today and sell your car the smart way! Click here. Looking to Sell Your Car Fast? Who Will Buy My Car in Delaware? Selling a car in the First State is a pain. Most of the buyers in the business today will waste your time with shady deals and tricky negotiation tactics. Choosing the right buyer is important and it can save you lots of time, as well as get you more money for that car. Thankfully, here at CarBrain, our dedicated team has over 30 years of experience in the car business! We’ve used our knowledge to create a quick and easy way to sell that unwanted car for some fast cash! Well make an online offer on most cars in just 90 seconds and tow it for FREE! Imagine all the time you will save by avoiding the hassle of selling your car locally. No more should have to answer your phone to all the calls and texts from the strangers who are inquiring about your car. You never know if they are serious or not. You won't have to take time out of your day to meet with these buyers that were just going to waste your time haggling down the offer. Selling a car to a dealer may seem like a good idea at first...until you really start to look into it. They will give you the full asking price or beat the offer you have, just to make it seem like you're getting a great deal. But odds are you're buying a car from them and all this money you think you're getting for the deal is just being stacked on as a dealer or hidden fee somewhere in your deal. With CarBrain, you're not buying a car from us. We’ll give you a fair market value - no strings attached! If you've tried calling those local ads saying ‘cash for cars’ or ‘Cash for clunkers’ then you've dealt with the local junk and scrap yards. They are in the salvage business and they don't care if your car has light damage or premium options like leather or alloy wheels. All they care about is the salvage metal value. Unlike these yards, CarBrain will evaluate each car on its own merits. We know every car is different and so should the offer. If your car was wrecked or totaled from an accident, we’ll buy it! We also purchase cars with mechanical damage, flood damage, theft damage, running or non-running, and much more! Each vehicle will receive a unique online offer through our interactive CarBrain price engine. For most cars it only takes 90 seconds! Get started today - click here. How Do I Get the Best Price for My Car? First thing you need to know on how to get the best price your car is that most cars are not a precious gem. The longer you hold on them, the more money you're going to lose when you sell. To get the best offer you need to sell now. Luckily, here at CarBrain, we have a quick and easy process. 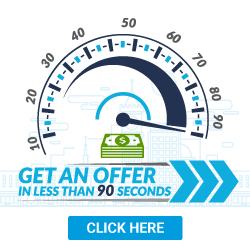 For most cars, you will receive an offer in just 90 seconds. Here’s what you should know to make sure you get the best price for your unwanted or less than perfect car. Do not part it out. Keep your car fully intact. It will always help you get the best offer possible, even if the part is damaged. Buyers like to see complete cars and it will help lock in a better deal. Don't lose the keys. Always make sure to have at least one key with your vehicle, whether it starts or not. A missing key will have a negative effect on your offer. Have state-required documents. Every state has different requirements to sell a car and if you're missing any paperwork, the buyer cannot transfer ownership. Some of these documents can take over a month to get a replacement. By then, the buyer could of either reduced or withdrawn their offer. CarBrain is the smart way to sell your car! We will make an offer on most makes models and tow it for FREE! To get your quick and easy offer, click here. Should I Repair My Car? Repairing a car isn't as easy as you would think. You’ll spend hours on the phone contacting shops searching for repairs. Most shops will only give you an estimate if the car is present, which can cost hundreds of dollars in towing and precious time out of your day. Also, you will never truly know the final repair cost of a vehicle until you've already started the repairs.By then, you could have spent more than what the car’s worth. How Can I Sell My Car Fast? Selling a car in a timely manner is important to ensure that you get the best offer. Thanks to CarBrain, you don't have to waste time dealing with annoying and self-centered buyers! 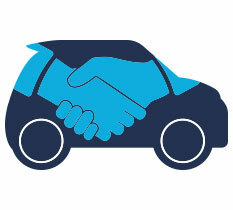 We’ve created the smart way to sell your car. Through our easy three-step process, we can deliver the payment to you and pick up the car in just 24 to 48 hours! Start by entering your vehicle in our database with as much accurate information as possible, Most vehicles receive an instant offer, Unique cars might need some additional information so please have some pictures and a VIN number ready if needed. Rest assured you will receive a top market cash offer at the end of our process. Great you got an offer! And you’re ready to accept and get paid. Simply show us with some proof of ownership, make sure to have your title ready and we will assist you in getting your pick up scheduled and ready. Once you have scheduled time and date with the tow company. 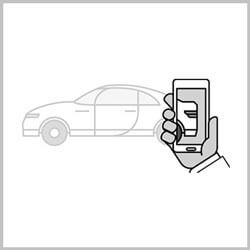 You will meet with the driver at your vehicle's location and upon pick up the driver will deliver your payment,it’s that simple! Why Should I Sell to CarBrain? Selling your car can be extremely time-consuming. You don't want to meet with sketchy strangers either - especially not go back and forth with haggling games. CarBrain won't waste your time because we’re the smart way to sell your car. CarBrain can get you quick and easy cash for your damaged or junk car. Our process is simple and straightforward, with most cars receiving offers in just 90 seconds. You’ll see why we’ve been recommended by thousands of customers. Just click here to get started today. We provide you the with the guaranteed cash offer in today’s market. We act fast, once you have proved ownership we can pick up your car within 24-48 hours. We provide free towing to any of our Delaware locations. Turn your unwanted junk car or damaged car into fast cash when we pick it up. We only work with top tier tow providers to ensure our customers the best car selling experience. No offer is the same because no car is damaged the same way. Our offers are unique and based on individual situations. Our offers are based off your vehicle's year, make, and model. And can be affected by the mileage and current conditions of your car. Getting your offer is easy, simply submit your vehicle and you will receive your offer! If your vehicle did not receive an instant offer don’t worry, we just want ensure that you receive the highest return possible for your car and please allow one of our certified customer service representatives to reach out and get you an offer! What kind of cars does Car Brain buy? Car Brain will purchase damaged vehicles of any type, including vehicles with physical or mechanical damage as well as junk cars. I was skeptical of CarBrain because it was a company I was not familiar with and they pay with a check which I was uncomfortable with in a world where everyone is trying to screw you but after a lot of research and speaking with their kind reps I saw that it was a legit company with phenomenal reviews and A+ BBB rating. Ready to Sell Your Car? BEFORE YOU GO! We Want to Make You an Offer! We pay $100 - $20,000+ for cars with accident damage, or even major mechanical issues! FREE Towing Nationwide. Get Paid in 24-48 Hours! *No obligation to accept your offer. 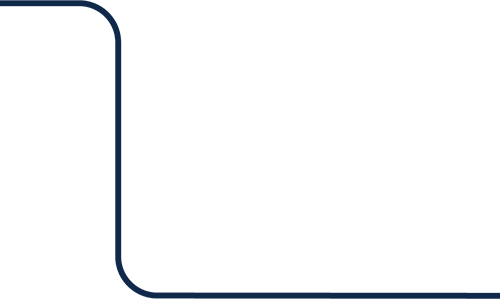 CarBrain.com, Copyright © 2017. All rights Reserved.